Enthiran - A reincarnation of Chitti 2.0.. | How about this for Mankatha 2 ? ENTHIRAN - A REINCARNATION OF CHITTI 2.0.. The world famous Enthiran that smashed a lot of box office records ended with Chitti (The Robot) dismantling itself. The next scene goes ahead in time showing 2030 with Chitti kept in a museum. He talks to just one little kid among a school gang through the glass display. When the kid asks him why he was dismantled, he says, ''Because I started thinking''. Then the title credits roll down. After Chitti dismantles itself, imagine a scene in the same lab2oratory. 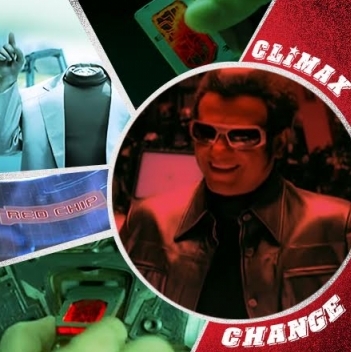 Chitti actually puts itself back and becomes Chitti 2.0 with a red chip that is unknown to others. How about a lead to Enthiran 2 that way?? Phew, must have been an exhaustive one had it been shot right? Arulnithi enters an important phase, blessed by Superstar! This page hosts a weekly slideshow related to Tamil movies. Each slide includes a picture and some description about that picture. All the slides will have a recurring theme. People looking for actress stills, actress images, actor stills, actor images, movie stills, movie images, and other interesting topics, relevant issues in Tamil cinema will find this page useful. Enthiran - A reincarnation of Chitti 2.0.. | How about this for Mankatha 2 ?.